Dr. Vemulapalli received his medical degree from Guntur Medical College, India. He completed his residency at St. Barbabas Medical Center in Livingston, New Jersey, and his fellowship at Roger Williams Medical Center Bostin University in Boston, Massachusetts. 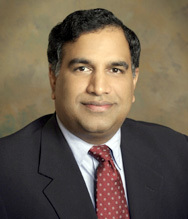 Dr Vemulapalli is a member of the ACG and ASGE.